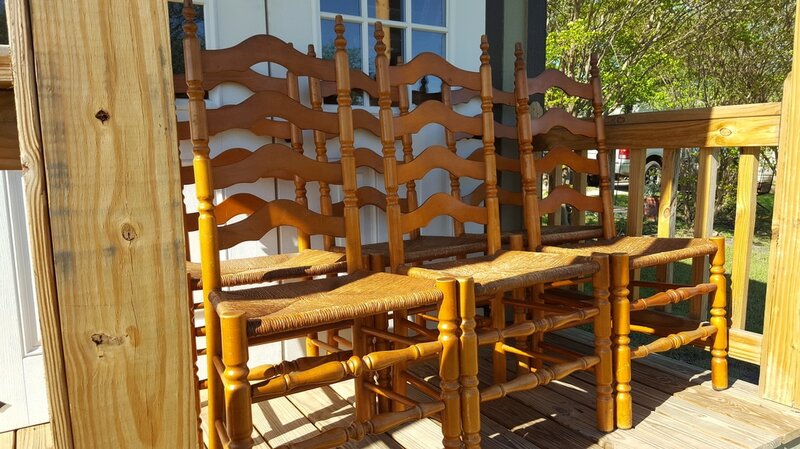 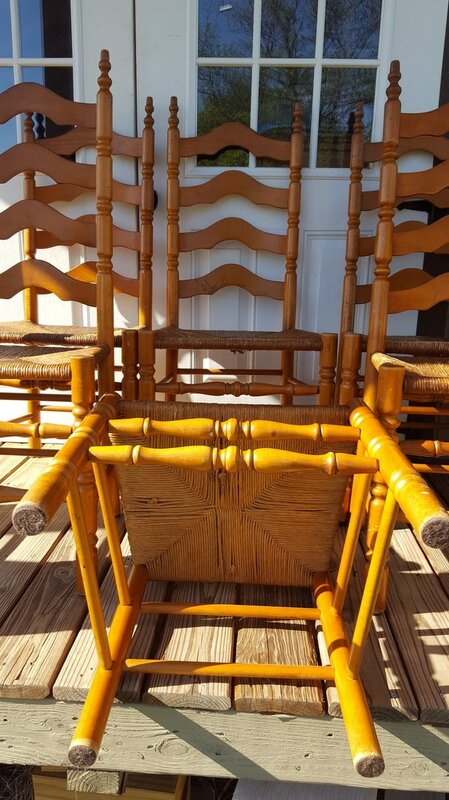 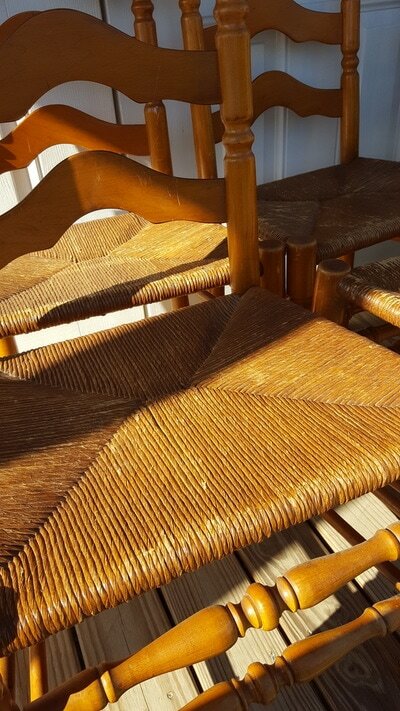 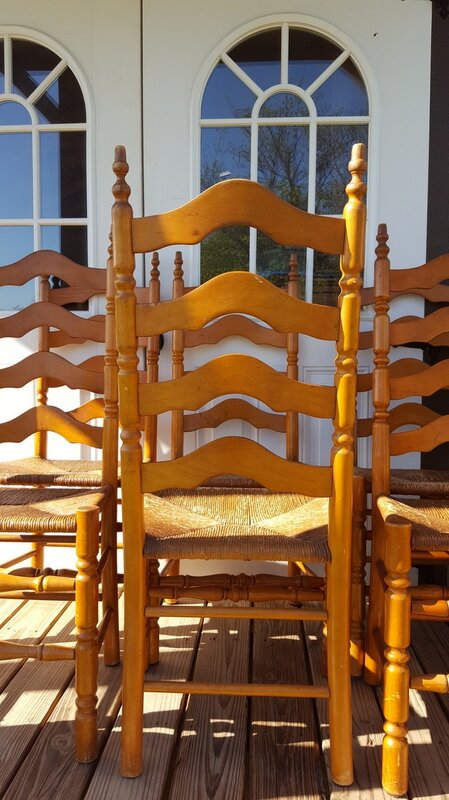 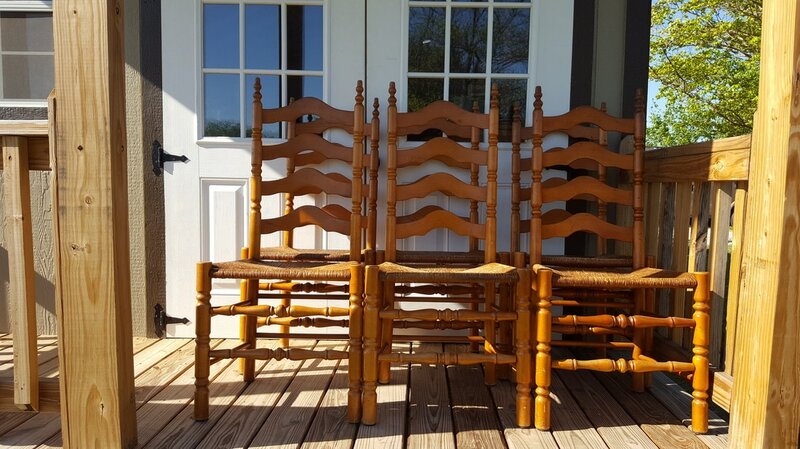 These Rush Ladder Back Chairs have felt on the bottom of the chair legs to protect the floors. 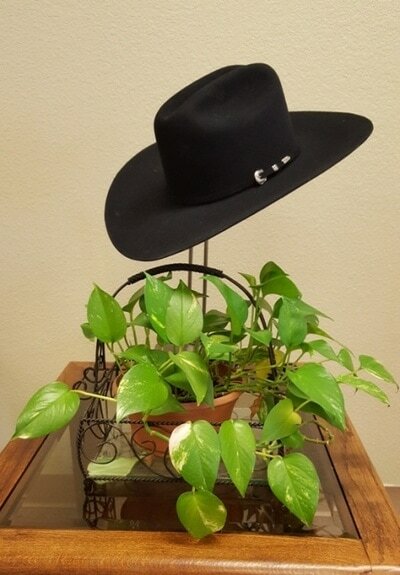 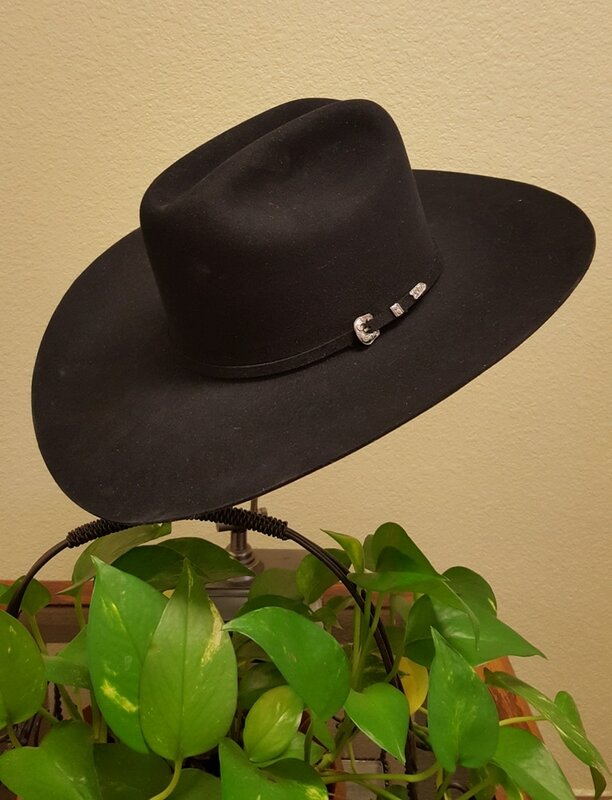 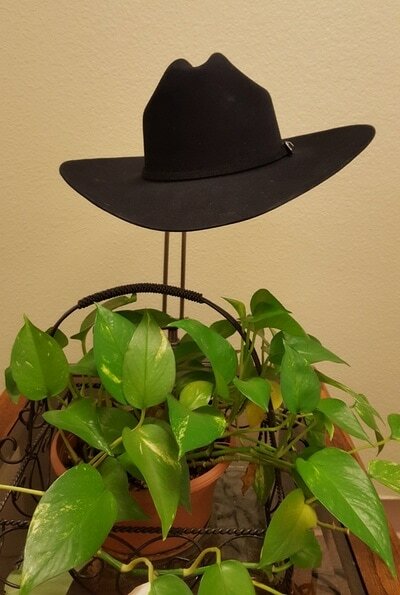 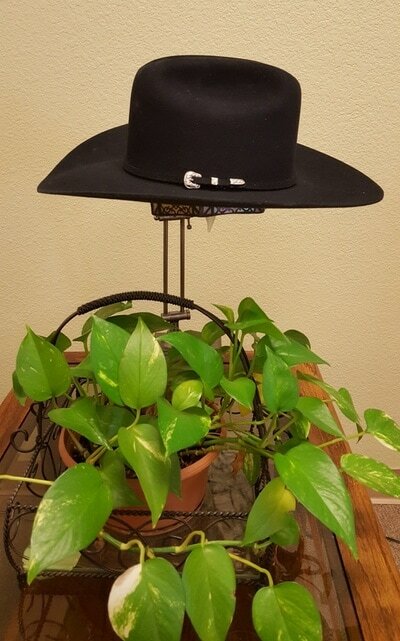 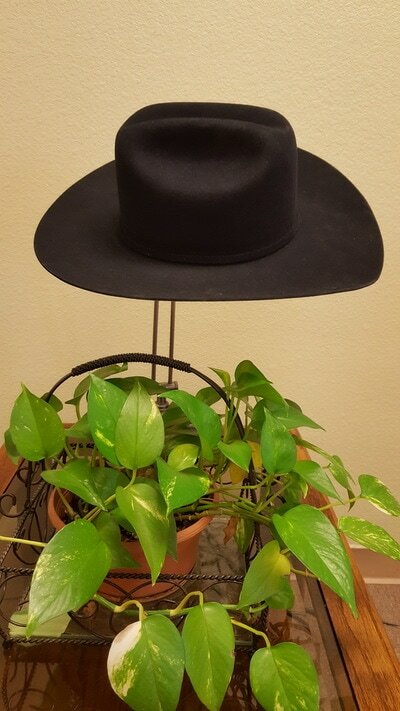 NEW Rodeo King 7X Low Rider Black Felt Cowboy Hat, Size 7 Asking 100.00 The same Cowboy Hat with Tax at CAVENDER'S that sells for $125.00 ! W. Alboum Hat Company, maker of Rodeo King Hats, is a family owned business started in 1921. 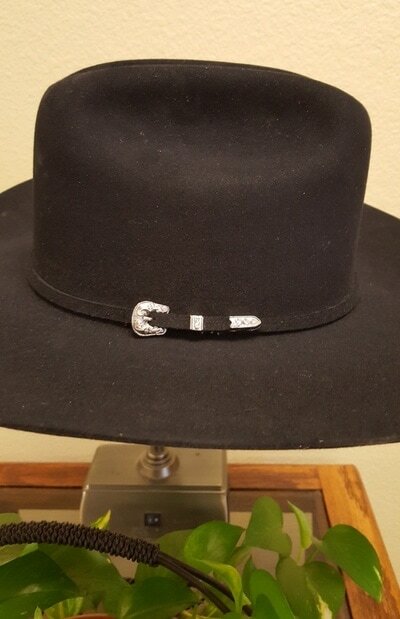 Value, quality, and service is what they stand for. 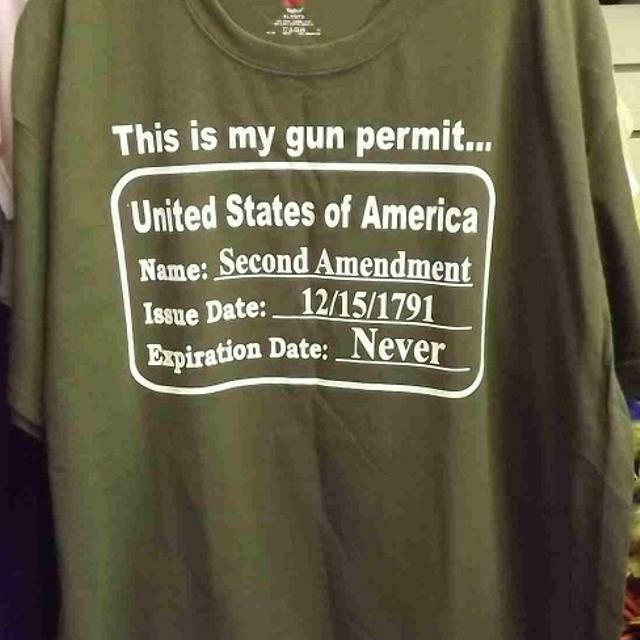 You will love this great t-shirt that speaks your mind without saying " This is my Gun Permit". This Gun Permit is spelled out in White lettering graphics with an unprinted back. 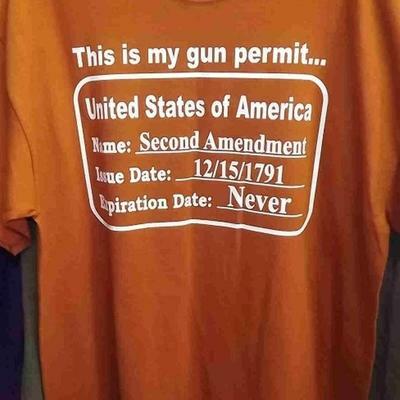 These Gildan Tee-shirts are in a Green with a cotton blend 50/50.This unique Gun Permit shirt makes a great statement addition to any wardrobe. ​This set is an exclusive Claire Ware Signature Set and priced at a price that is way below wholesale market. 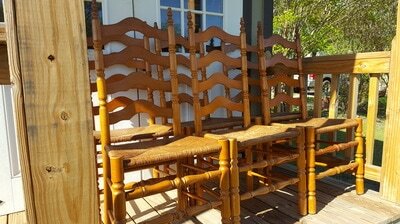 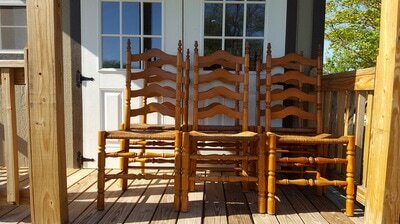 We are selling this set at this price so that we can roll our inventory to move and make room for incoming merchandise. 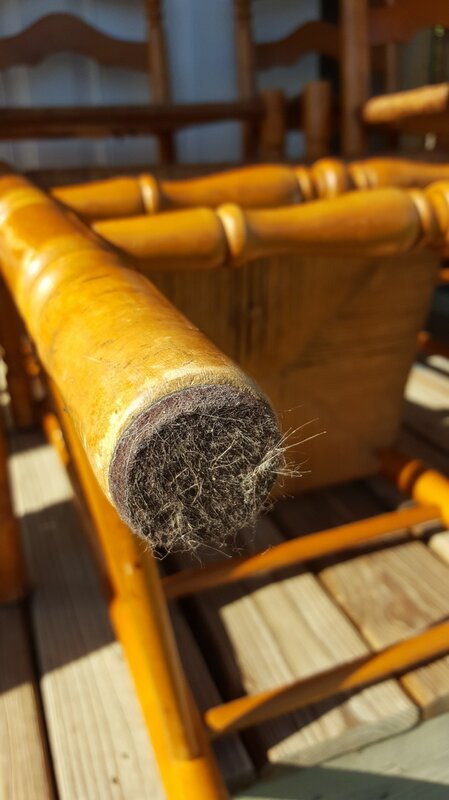 It's that time for a little spring cleaning !